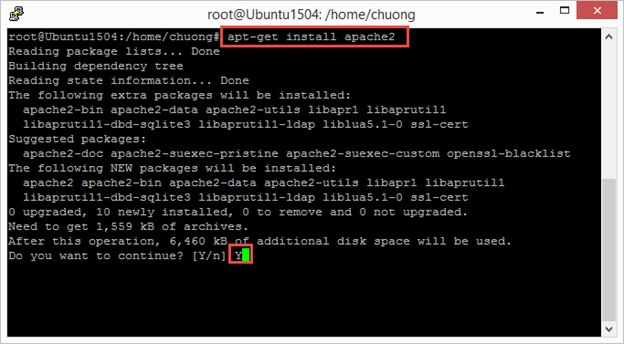 After having Ubuntu 15.04 installed, we need to update, upgrade and remove uncessary services. Components will be downloaded and installed on the system. Unecessary software will be removed. 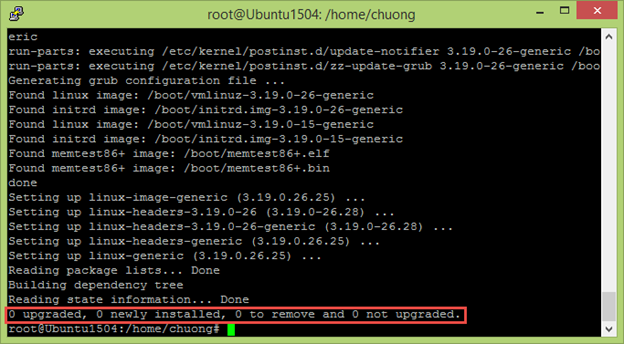 In my case, there is nothing updated, nothing ugraded and nothing removed. This is because I just performed these tasks when I installed the server. 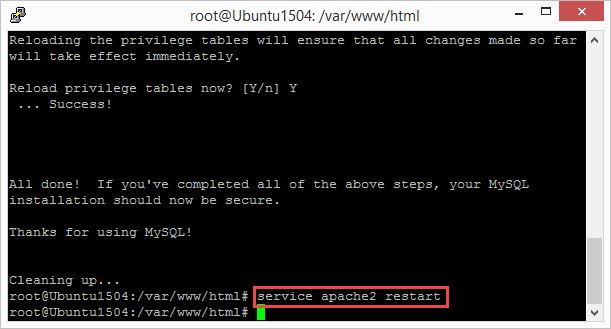 If any component was installed you are probably asked to restart the server. 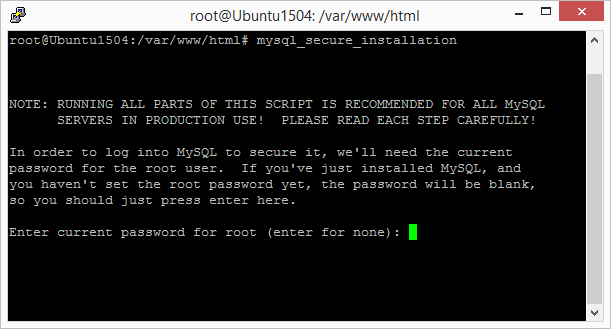 At this point the web server is up and operational. Use a browser to test the web site using your web server IP address. 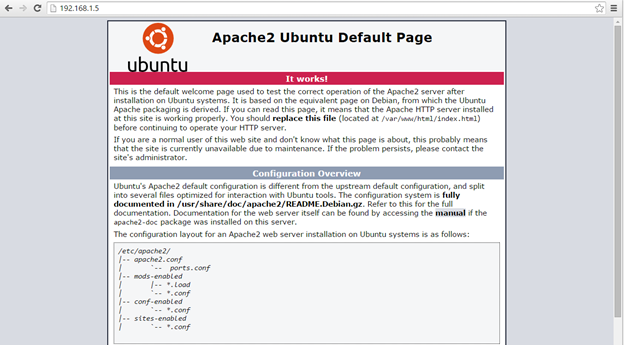 You should see the Apache2 Ubuntu Default Page coming up. PHP has lots of modules which we can utilize for our web server. Here we will install PHP and a few frequently used modules. When prompted, type Y to continue. This installation takes about a minute or two depending on your Internet connection speed. Open the browser and browse to http://192.168.1.5/phpinfo.php. The PHP Version information page should show up. This is indicative that PHP is functioning. When ask to configure the root password, press OK. Enter a secure password and repeat. Press ‘n’ for NO to changing root password. Then enter the password for the MySQL root account.